Everyone knows that UPVC has been used for decades as a main material for pipes used in plumbing and other construction projects, which means that it is one of the sturdiest and most reliable materials around – but when it comes to windows, why is UPVC gaining more popularity? Let’s find out. One of the big advantages to having UPVC windows is the fact that your customers do not have to worry about replacing them for a good many years. UPVC windows have a long lifespan, which makes them a worthy investment. The reason why UPVC windows last for a long time is that they are weatherproof and are not affected by any changes in temperature, unlike traditional wooden window frames. Wooden frames have the tendency to rot, flake, and warp with extreme weather changes, whilst other types of frames may develop rust over time. On the other hand, UPVC is not affected by damp or other differences in temperature, and it is non-corrosive as well, which means that it will not rust. This is especially true for UPVC windows that are double-glazed and which have a high energy efficiency rating with the BFRC. UPVC in itself has excellent insulation properties, but when combined with double glazing, its efficiency is more substantial. If your customer’s UPVC windows are double glazed as well, less heat can go out and draughts and cold spots can be eliminated, making their home or building warm in the winter and cool in the summer. Double glazed UPVC windows are a great insulator against outside noise as well. Less noise can come in, contributing to a quieter, more relaxed environment indoors. This is particularly beneficial when if the customer is located on a busy street. Of course, one important aspect for any consumer is the attractiveness of their properties façade. The good news about UPVC windows is that they come in a wide range of designs and styles as well as colours. 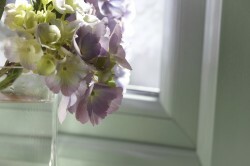 UPVC window frames nowadays are available in different finishes, from wood grain to classic white and more. These types of windows also come in various styles, from casement windows to fully reversible windows, tilt and turn, sash, and so on. 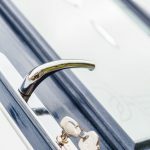 Aside from the benefits mentioned above, uPVC windows today can amplify security, especially if they come with a good locking system like the windows available from Sierra. At Sierra we supply A, B, or C-rated windows, as they are the most energy efficient and can contribute to more energy savings for your customers in the long run. We also offer excellent service with a good, readily available support team, such as technical, marketing, and sales support services. For more information click here.